The International Airport of Santorini is located in the region of Monolithos/Kamari, 6 km from the capital of Fira and 17 km from Oia. The airport serves domestic flights from Athens and Thessaloniki. In summer, there are also charter flights from abroad. The airport of Santorini island is about 6 km from the port (Athinios) that serves ferries to many other Greek islands. Public buses serve frequent routes between Fira (main village) and the airport of Santorini. From Fira, you can take an other bus to other villages and resorts of the island, like Oia. Also outside the exit gate, there is a taxi rank. Some hotels provide transport to/from the airport with their mini buses. 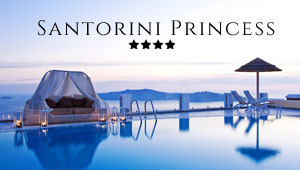 Santorini transfer | Car rental | Hotels. Also, visitors can reach the island of Santorini by ferry. There are many ferries to Santorini from Piraeus port in Athens.